Last Autumn, after 3 years and much fun selecting and sending out fine publications made and shared on bookleteer, I decided to end the Periodical’s monthly service. There were a number of reasons – some practical and financial – but I felt that as a project it had achieved as much as it could in its existing form. At its height there were over 80 subscribers across the world. Something like 60 different books were distributed during the 3 years, and there will be a few more that will be sent out to the last subscribers later this year as part of the LibraryPress Legacy project. Since many subscribers were keen for the project to continue I will be considering options – the most likely being a once yearly round-up. If you’re interested in subscribing to this, please leave a comment on this post to let me know. My work with anthropologist James Leach and the villagers of Reite in Papua New Guinea has defined much of my recent work with bookleteer and is shaping the trajectory of development in which it is heading. You can read about our fieldwork in PNG, about the TKRN project and the TKRN Toolkit or explore the lovely handmade books created by the community on the dedicated website I created for them. We are returning to Reite in April and May this year to do further work, and to expand the project into some neighbouring villages. We have also been invited to develop a parallel project with indigenous fieldworkers in the neighbouring island nation of Vanuatu. 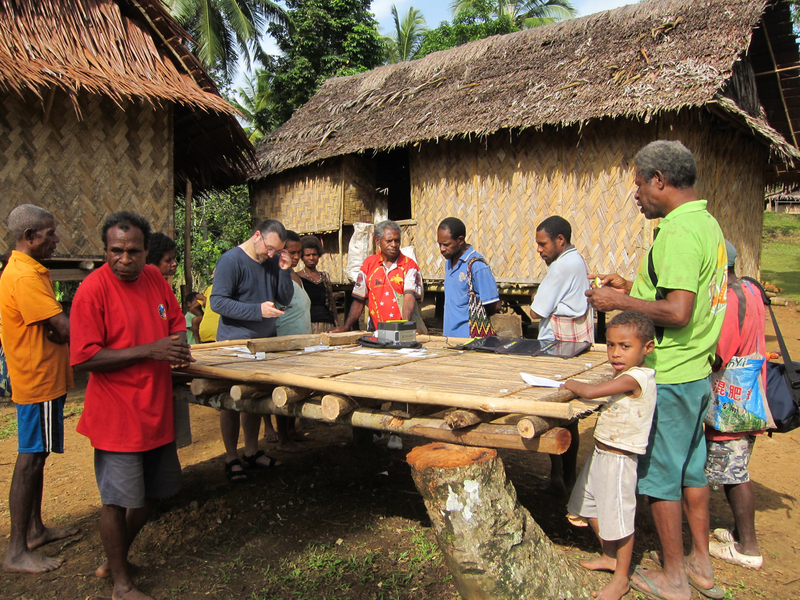 Later in 2016 we hope to facilitate some of the villagers from Reite to transfer their skills and knowledge of using the TKRN Toolkit to local people in Vanuatu. This past year I have also been helping (in a small way) Grace Tillyard to develop her amazing Breast Cancer awareness and engagement programme for women in Haiti. The project is hosted by Project Medishare‘s Womens Health Centre in Port-au-Prince and recently received $60,000 in funding. Grace is currently co-developing with local people a new kind of Patient Notebook using bookleteer to help communicate more about the condition and the medical treatments available, as well as to allow people to record their own medical information in a dedicated book of their own. We hope to have a prototype ready this Spring for testing by the community. I have also been collaborating with Peter Baxter of Camden’s Library Service to extend and continue the work of introducing self-publishing using bookleteer into London’s libraries that was initiated in 2014 and 2015 through the LibraryPress project. Last week we held a professional development workshop for Librarians from Camden, Hackney, Brent, Hounslow and Harrow. Over the next few months the aim is for these librarians to use bookleteer to create publications with library users as part of the many events to promote reading and literacy that take place. We shall be selecting some of these to be printed and distributed as part of a special issue of the Periodical.